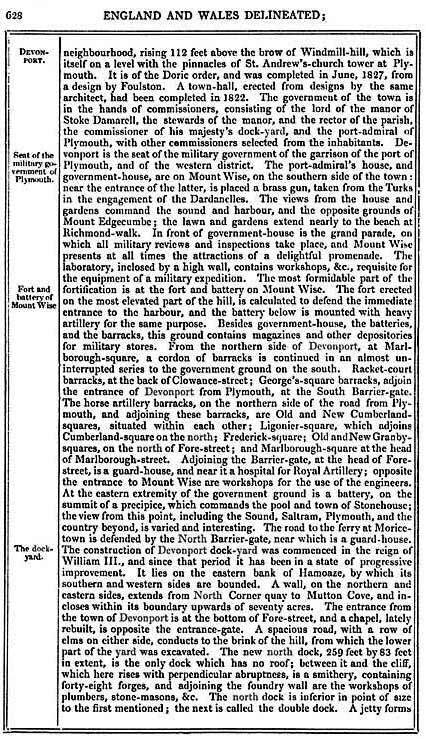 These four pages  provide an overview of Devonport town as it existed in the year 1830. [1.] 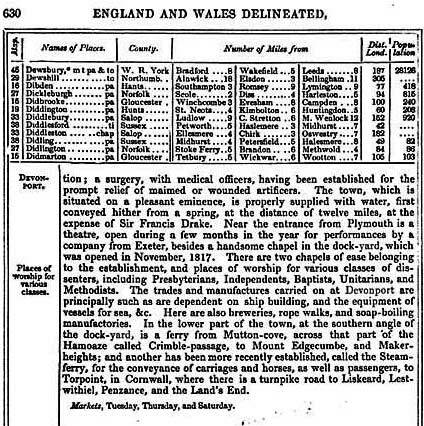 The source is located in a Google ebook: England & Wales Delineated, by T. Dugdale, assisted by W. Burnett. (Curiosities of Great Britain). 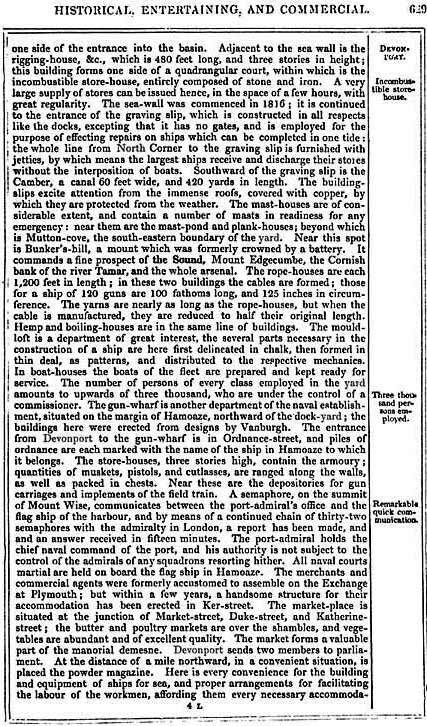 Originally published 1830. Available here :- from where PDF copies may be freely downloaded.